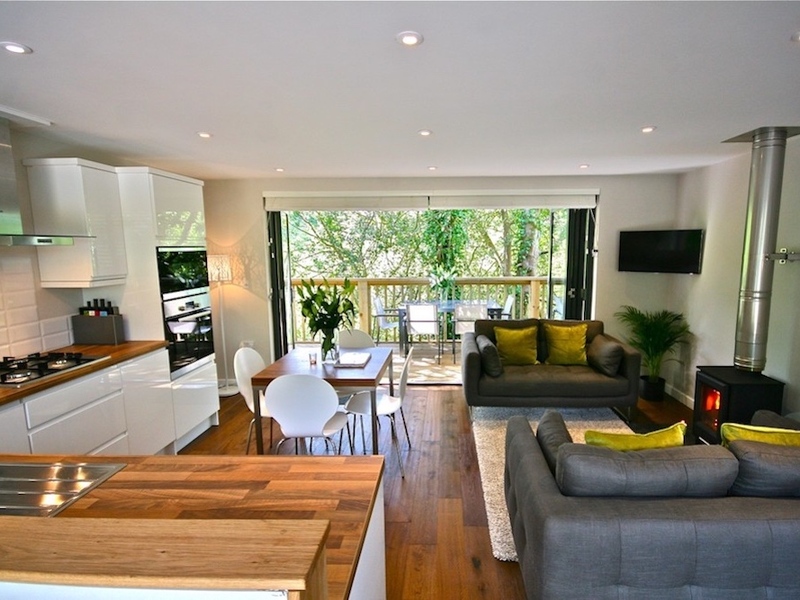 Muddy Stilettos loves the self-catering options at Sunridge, in the South Hams. 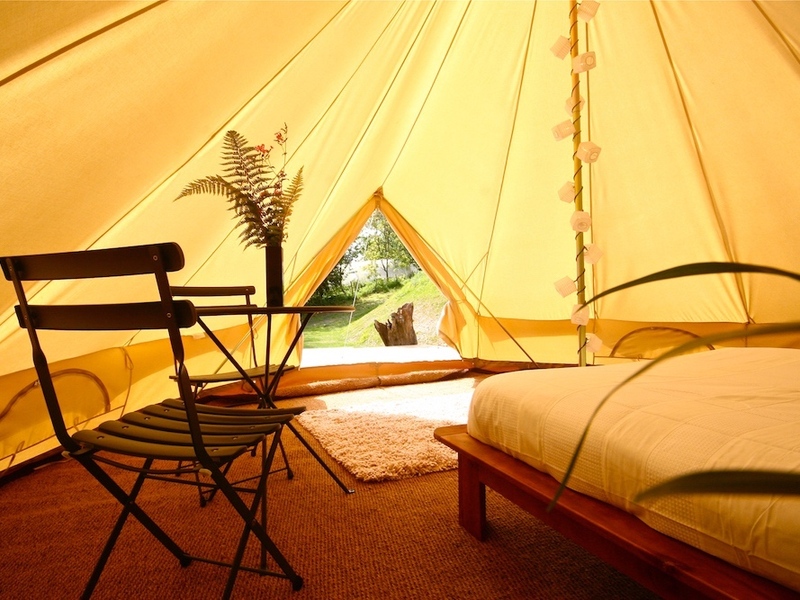 Muddy says: is this the coolest spot to glamp it up in Devon? With a lodge, a treehouse, luxury bell tents and a cute ecopod all in residence hidden amidst the woodland, well, quite possibly, yes. 4 super-cool self-catering options in one gorgeous spot. We love Sunridge, located in the South Hams, just a short drive from South Devon’s prettiest seaside towns and beaches. Nestled among the woodland, along with its own private fishing lake, you’ll find each perfectly private sun-dappled spot in its own little clearing, away from any hustle and bustle. 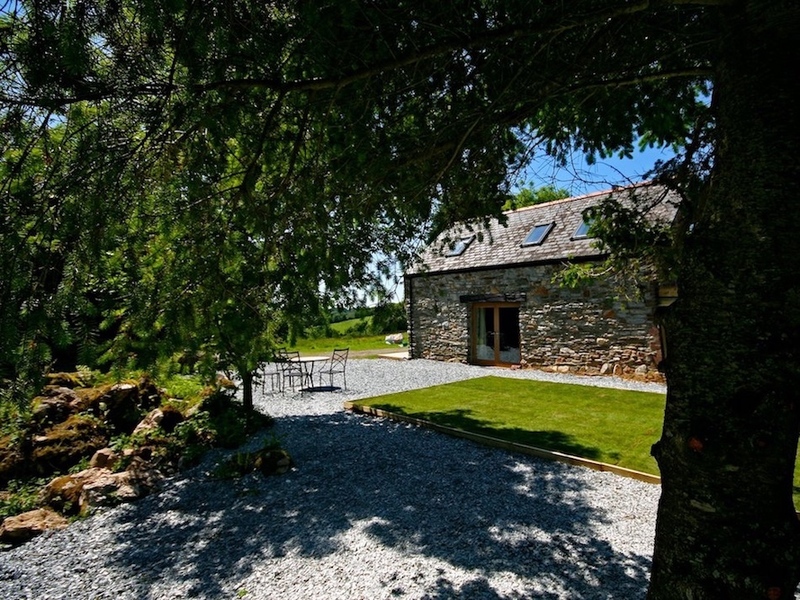 First up, it’s the Lodge, a stone built barn conversion that makes for a cosy bolthole all year round. 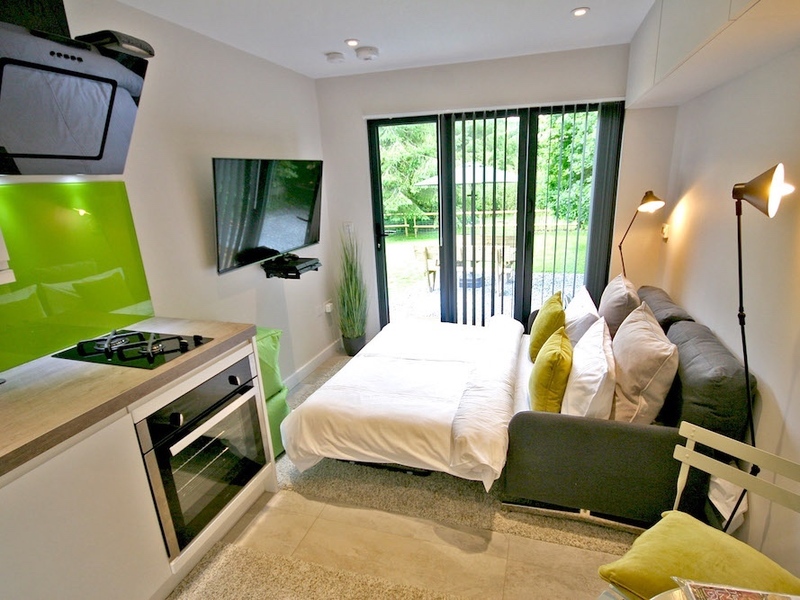 Inside, it’s contemporary, snuggly and kitted out with all you could need for a self-catering stay. 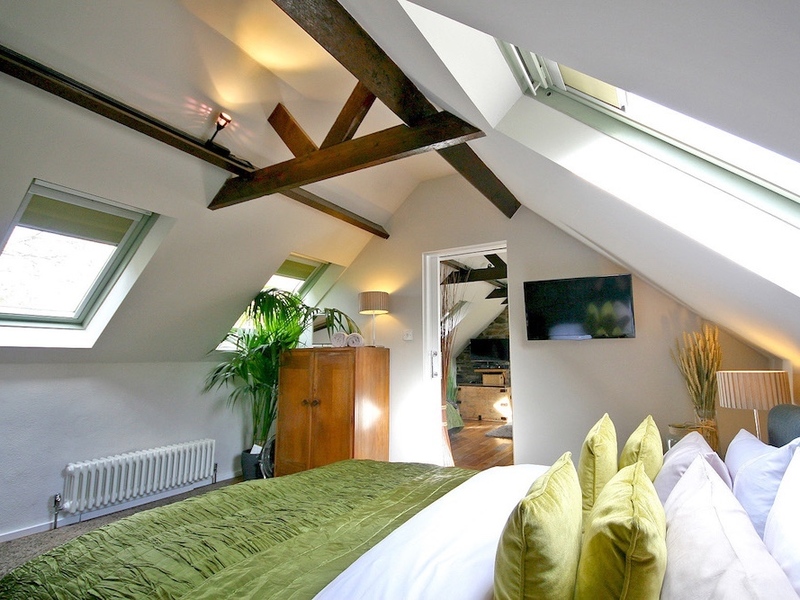 Sleeping up to 5, you’ll find a double room, along with an open-plan twin on a mezzanine, plus a futon. Expect drench showers, Neff kitchen, glass-fronted log burner and underfloor heating, not to mention a cinema screen and projector. Did I forget to drop in the hot tub? I’ve been in the depths of winter, it’s the most awesome place to disconnect. Next, the Treehouse, a pretty unique cedar-cladded quarry stone house, sleeping up to 6. Another fabulous setting, with 2 bedrooms upstairs and a ‘snuggery’ downstairs, kitted out with a 5 metre (yes 5!) cinema screen and gadgets that will keep all the family ensconced (and if it doesn’t, there’s always another hot tub to relax into with a bottle of champers!). If you want to edge nearer to the Great Outdoors, or you’re travelling as a couple, then you may want to experience the Ecopod; it really is as cute as it sounds, with romance to boot! 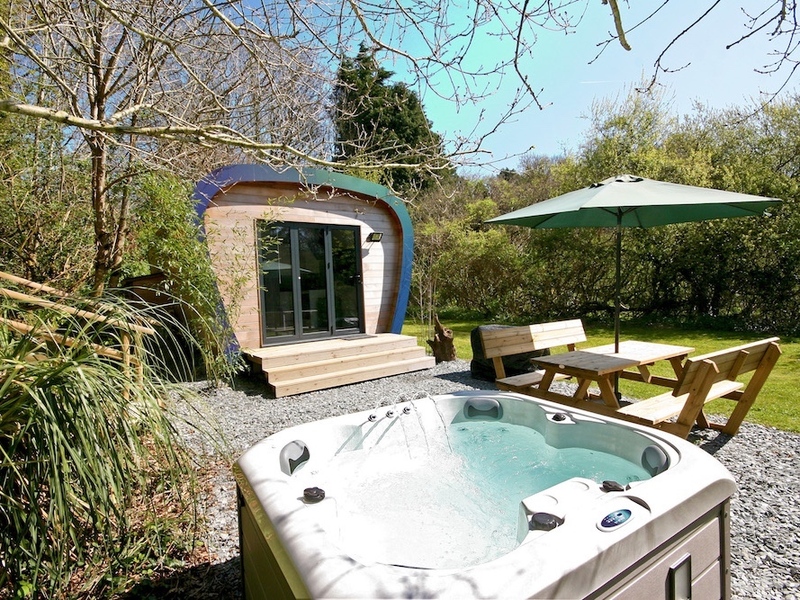 It’s a pod that packs a punch, with mod cons like swish kitchen and underfloor heating; but throw open the doors and you’re at one with nature (in a hot tub if you fancy, naturally!). And finally, if you really want to channel your inner Ray Mears without compromising on the glamour, then during the warmer months, plump for a luxury bell tent. Gorgeously private, with double bed, twinkly lights and e-lec-tricity, you’ll love the experience of kipping under canvas here. So which is it to be? Tough choice, eh? 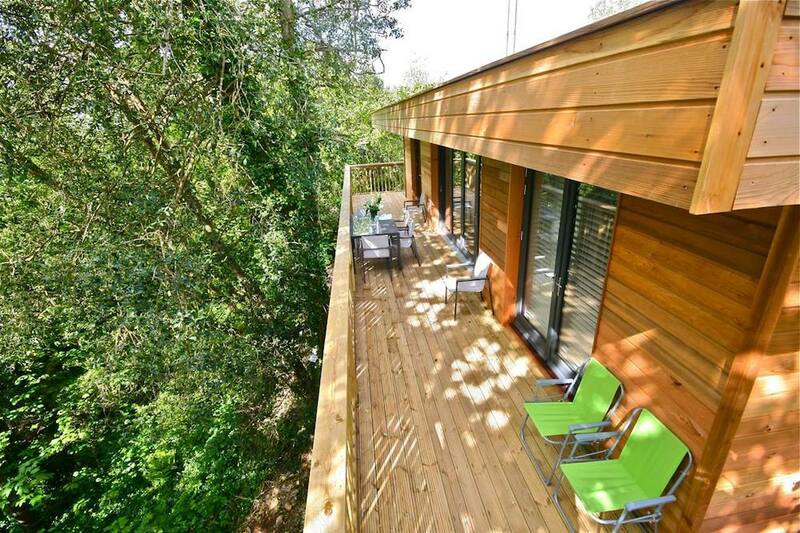 £895 - £1695 per week (Lodge price).